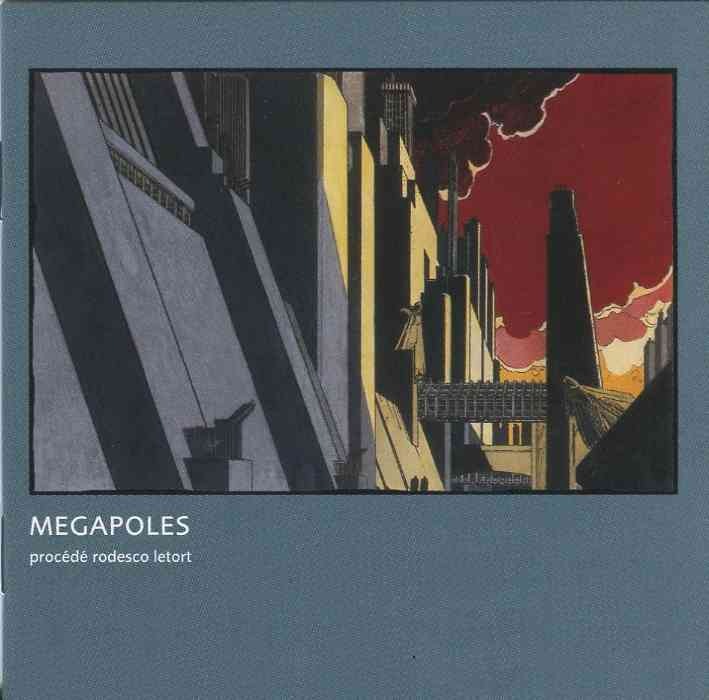 Megapoles is a cd recording by Procédé Rodesco Letort, released in 1999. The cd has 27 recordings, most of them 1 minute long. This musical project makes use of urban sounds, either by composing around the megapole's natural rhythmic suggestions or by using sonorous atmospheres as elements in themselves within the orchestration. Each city has its own range of sounds. From its dustmen at dawn to places of worship, from megaphone announcements to public transport, all a city's noises shape its identity, varying with time and weather. 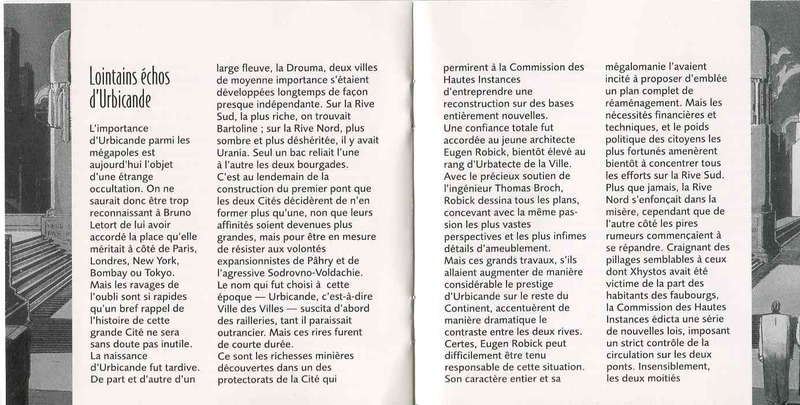 The cities visited on this CD are New York, London, Paris, Moscow, Bombay, Tokyo and Urbicande. The CD cover is a colored image of Urbicande. Benoît Peeters wrote an introduction: distant echoes of Urbicande 1). The track Urbicande is 5.07 minutes long and composed by Bruno Letort.